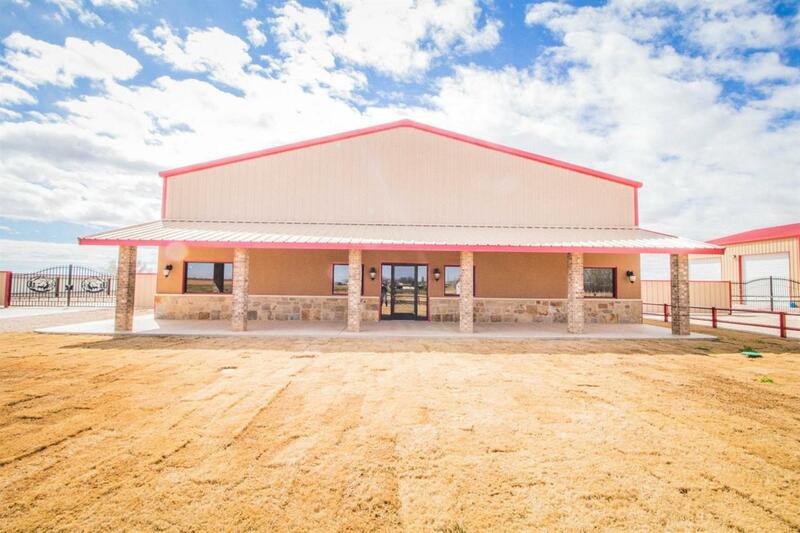 4,800 sqft, Newly-Constructed warehouse space for sale on 1 acre of land. This warehouse has it all! Including spray foam insulation, 3 - 14 foot overhead doors, 3 - single swing doors, water well, septic, and even a sprinkler system for the landscaped exterior. This all sits on an acre lot, including a metal fenced in stack yard and beautiful iron gates. This warehouse was left unfinished; however, it is already plumbed for bathrooms. This space would be perfect as a man cave; a business with showroom/offices up front and warehouse/stack yard in the back; or all an industrial warehouse. The open floor plan leaves all options available. Listing provided courtesy of Jeremy Steen of Mcdougal, Realtors. Listing information © 2019 Lubbock Association of REALTORS® MLS.